Outside the Services for Students with Disabilities room. Adele Hinton is a 20 year old student at Frederick Community College that has a disability and uses a success plan with the Services for Students with Disabilities. With help from her team at the disabilities office, Adele is able to achieve her goals and succeed in school in a way that would not be possible without specific accommodations. Hinton has Attention Deficit Disorder, which is a learning disability. People with ADD often suffer from trouble focusing, as well as dealing with executive dysfunction that may make it hard to prioritize and complete tasks. “My accommodations were extra test time, being allowed to record lectures and the teacher had to send the notes and PowerPoints whenever I asked,” Hinton said. “The extra test time was helpful because I sometimes need to read things multiple times to understand. When I didn’t have accommodations in high school, I was always losing points on tests for never finishing them. 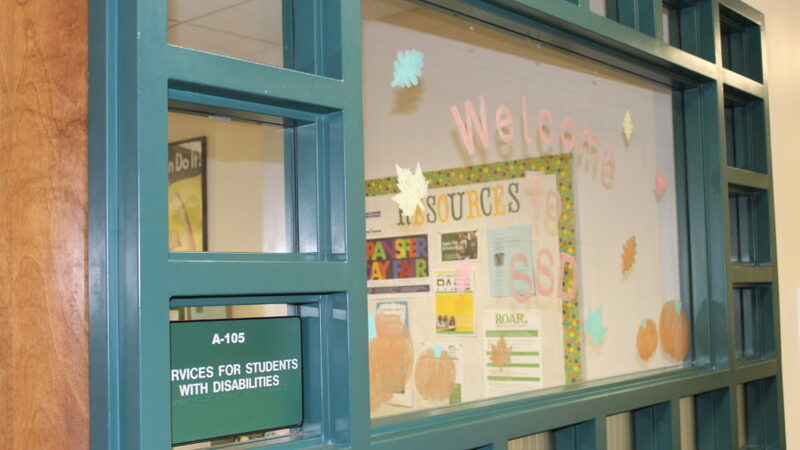 Due to the uniqueness of each disability, the Services for Students and Disabilities has a wide range of qualifications, flexible accommodations and individualized plans to help each student be as successful as possible. Kathleen Porter, a disabilities specialist at the Service for Students with disabilities, shared her experience while working with those who need specific accommodations. 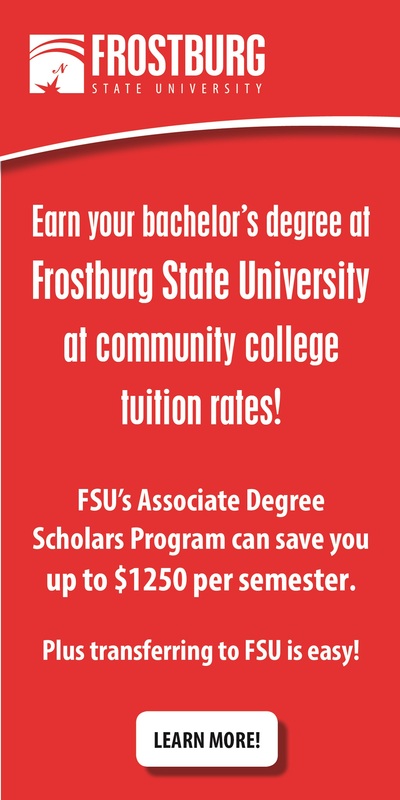 According to the Frederick Community College website, under the Student Services with Disabilities, these types of accommodations that assist those with disabilities have a 504 plan. This law is to legally protect and ensure an accessible learning environment for students with a disability. To be eligible for a 504 plan, you need to be able to bring in clinical documentation as proof of your disability by a professional that recognizes how your disability will affect your schooling. Recently, teacher and disability specialist Cathy Hull has left the Student Services with Disabilities, which has opened a position. To be hired as a disabilities specialist, one must have a Masters Degree in special education, psychology, human services or another field. It is also required to have at least three years of experience working with individuals who have disabilities, along with other experience of disabilities, case management and overall knowledge in working in a diverse and multicultural environment.